how much do passports cost - How Much Does It Cost To? A passport is the most official way of identification. You need this when you travel abroad or want to use certain official (government) services. The price of your passport will depend on what kind of passport you need (book, card, both), if you are a first time applicant or need a renewal, and how fast you need it. Normally you would need a passport book. Alternatively, there is a passport card in a more portable size, which allows you to enter the U.S. from mexico and canada. 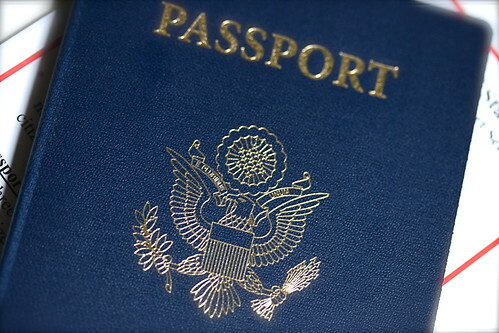 A passport book costs $110 for adults and $95 for minors. First time applicants pay a $25 execution fee. A passport card costs $30 ($15 for minors). If you renew, you dont have to pay the execution fee. If you buy the book and card together, you only pay the execution fee once. the application fee and the execution fee, or just the renewal fee. If you get your passport at a Passport Agency or Center, you are required to use the expedited service ($60). Normally a passport application should count on a maximum of 10 weeks processing time. If you are in a hurry, you can use the expedited service. This costs an extra $60. If you cannot proof your citizenship, you need to pay an extra $150 for file searching. If you are abroad and lost your passport, you don’t need to pay this fee. If you travel a lot and expect to need extra pages, you can ask for a passport with extra pages. This costs $82. Sending a passport book to you by overnight delivery costs an extra $12-$15. First time applications have to be done in person (passport agency, acceptance facility, or US embassy / consulate). Renewals can be done by mail. You can pay in person by credit card, check or money order at a passport agency. However, acceptance facilities do not accept credit cards. Use checks, money orders, bank drafts, or cash. If you order by mail (renewal), you can pay by check or money order. For first time applicants, use the DS 11 form. For renewal, use the DS 82 form.